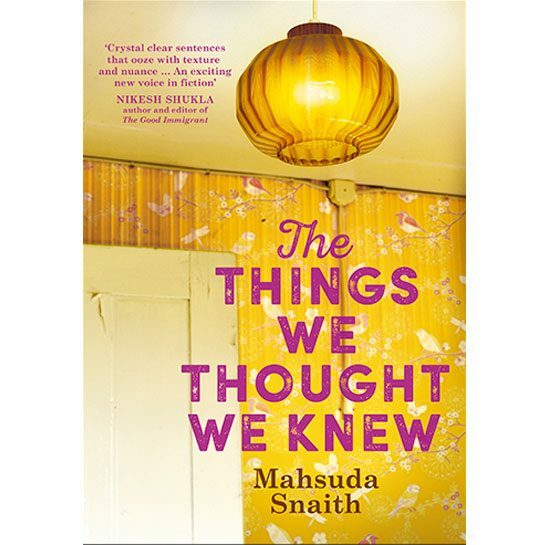 Mahsuda Snaith, named by Stylist as ‘the voice of the next generation’, joins us to discuss her affecting debut novel, The Things We Thought We Knew. Ravine Roy has been stuck in her mother’s council estate flat for 10 years with chronic pain syndrome. What led to her being here and how can she get out? Exploring an ever-changing Britain over the span of two decades, The Things We Thought Knew is a funny and moving coming of age novel about the people who make us and the secrets that can change our lives forever. Winner of the prestigious SI Leeds Literary Prize, the Bristol Short Story Prize and named by The Observer as one of the New Faces of Fiction 2017, Mahsuda is one of our extraordinary debut authors.